Dmitry Shkolnik was born in Moscow, Russia in 1960. While studying in highschool, he developed a keen interest in Russian religious art. Upon graduation, he pursued a higher education in the field of architecture. 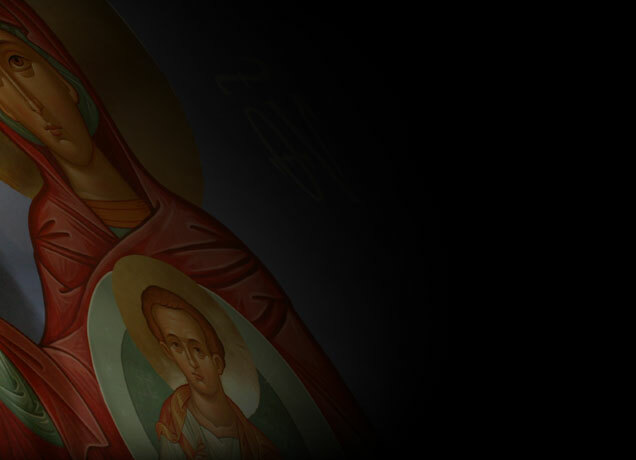 Concurrently, he cultivated a knowledge of Russian craft art in the form of laquer miniatures and Icon restoration. In 1979-80, Dmitry Shkolnik began to work for the Russian Patriarchal Workshops (now known as SOFRINO).In 1981 he immigrated to the United States with his family. He enrolled in the Theological Seminary at The Holy Trinity Monastery in Jordanville, NY in 1983. In his time there, he apprenticed under the well-known iconographer Archimandrite Ciprian (Pyzhov) for many years. In 1988 Dmitry Shkolnik completed the Seminary with a Bachelors in Theology. 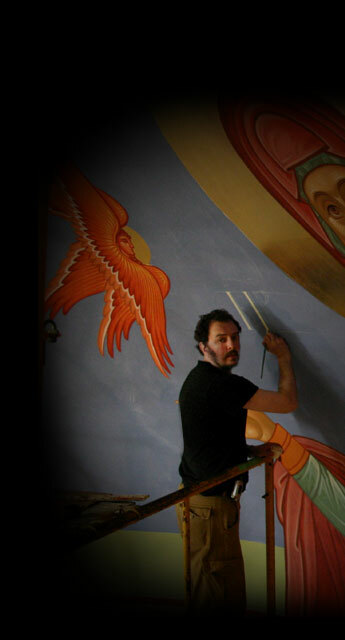 Since 1981 Dmitry Shkolnik has written over 3,000 icons, completed more than 20 iconostasis, and painted numerous church frescos, murals and wall ornamentations. He is an active member of the International Union of Artists, and has collaborated with some of the most noted Russian iconographers including; Alexander Lavdansky, Alexy Vronsky, Anton Yarzhombeck, Constantine Bokarev and others. You can see his work in churches and private collections all over the United States from Florida to Alaska, Canada, Central and South America, France, Australia, Japan, Russia, Greece, and many other countries.